Ariana Grande pulled her look together with a pair of gray thigh-high boots by Le Silla. 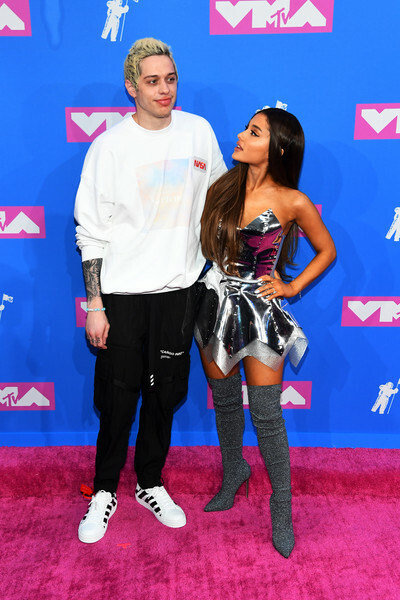 Ariana Grande looked every bit the pop star in a silver latex bustier by Venus Prototype at the 2018 MTV VMAs. Ariana Grande matched her top with a silver latex mini skirt, also by Venus Prototype.